Creating products is a journey. And like any journey, it’s filled with new experiences, missteps, and perhaps most importantly, lots of opportunities to learn. 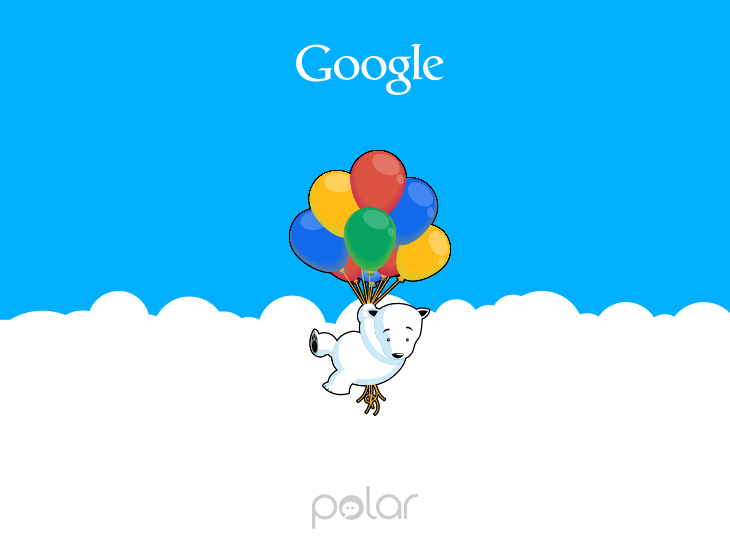 My most recent journey started nearly two years ago when we began working on Polar. Today I’m delighted to announce we’re joining Google. But before embarking on this new journey, I wanted to thank everyone that was part of Polar. We started with the simple idea that everyone has an opinion worth hearing. But the tools that existed online to meet this need weren’t up to the task: think Web forms, radio buttons, and worse. Ugh. We felt we could do much better by making opinions easy and fun for everyone. Since then one in every 449 Internet users told us their opinion by voting on a Polar poll. We served more than half a billion polls in the past eight months and had 1.1 million active voters in September. To everyone that made this possible, our heartfelt thanks. If you voted on a Polar poll, downloaded our app, our embedded us in your site, we learned from you. Personally, I learned more than I could imagine from the Polar team, our partners, and investors. I can’t imagine a better gift than knowledge, so I’m grateful to all of you. A beautiful iBook complete with hidden treats and awesome videos. A PDF of the same content and layout but without the slick UI and videos. The original Web pages published on this blog from 2012-2014. Each version is filled with nuanced user interface design details and big-picture thinking on mobile and multi-device design for PCs, tablets, TVs, and beyond. It’s our hope that some of our experiences, insights, and missteps, will ultimately help you with the product journey you’re on now or will be in the future. If you used Polar, we’ve made it super-easy for you to download an archive of the polls and data you created –they’re yours after all. We’ll also be keeping the site running for a while to help with this transition.